Blondie and Brownie: It's Almost Pancake Month at Clinton Street Baking Co! It's Almost Pancake Month at Clinton Street Baking Co! 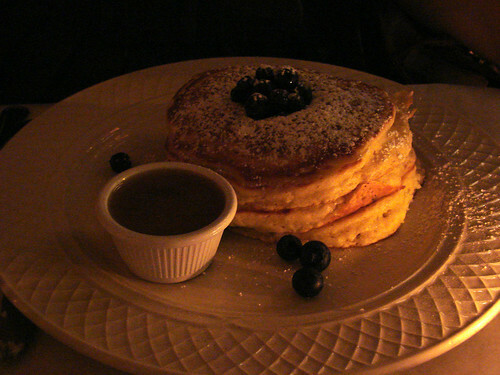 And if you're not a fan of the particular pancake of the day, they do have their famous wild Maine blueberry or banana walnut, with warm maple butter pancakes on their everyday menu. 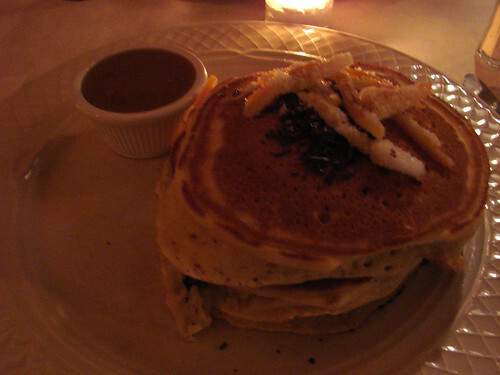 I'm wondering how the "chocolate & blood orange pancakes w/candied orange glaze" will compare with last year's "blood orange peel and bittersweet chocolate pancakes." I really enjoyed the decadent and delicious candied orange peel and chocolate combo last year. Clearly I'm going to have to do a little recon next week. And speaking of February month long celebrations of deliciousness, The Feed Blog has an exclusive look at City Bakery's Annual Hot Chocolate Festival Calendar. Hello, Vietnamese Cinnamon Hot Chocolate! Oh I wish I could be there - when we arrived on a snowy day last March we went straight to Clinton St bakery as it was within walking distance of where we were staying and I immediately ordered their banana walnut pancakes. They were HUGE and AMAZING - some of the nicest food I've ever had, and I didn't need to eat for the rest of the day as I was so full!